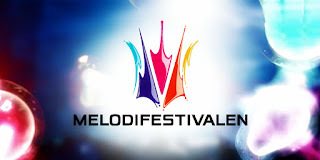 For months now, rumours have been swirling about which acts are making a run for Melodifestivalen 2016. The spotlight on Sweden is even brighter this time around following Måns Zelmerlöw's Eurovision victory in Vienna. To alleviate some of the tension while we wait for the acts-announcing press conferences, we've put together a list of acts that the contest would greatly benefit from having participate. Dinah Nah hasn't exactly been shy about her desire to return to Melodifestivalen. She even said as much when we interviewed her back in September. Despite her last-place finish at the Melodifestivalen 2015 finals, it's nice to see that she hasn't been scared off of trying it again, especially given how strong of a song she competed with. Dinah has live vocals that can blow the roof off of whatever venue she's performing in and knows how to deliver a quality dance-pop track, as evidenced by her follow-up single, "Taste Your Love." Despite an 8th-place finish, "Groupie" was the second most successful song of Melodifestivalen 2015, only being beat by the winning song, "Heroes." "Groupie" was a double-platinum hit and their Success was only further perpetuated with their follow-up single, "Saxofuckingfon," a summer/party anthem which charted in both Sweden and Norway, and has been streamed on Spotify over 10 million times. The boys' greatest downfall in their first go in the contest was their lack of polish. Their live vocals and ability to hit their marks were often shaky but to their credit, they improved with each new competitive performance, from the semi-finals, to Andra Chansen, to the finals. With another year of performing experience under their belt, it may be just enough to creep up towards a top 5 finishing place, given the right song of course. But for better or worse, we know that these two would deliver pure entertainment. Kristin Amparo came into Melodifestivalen 2015 with high expectation placed upon her. Having featured as the vocal power on successful tracks such as John De Sohn's "Dance Our Tears Away" and Albin's "Din Soldat," Kristin surprised many by competing with a ballad that was not up to the challenge of igniting excitement in large crowds. Still, there is no denying Kristin Amparo's soulful vocal prowess. Though we're doubtful of her making a run for Melodifestivalen 2016, she hasn't ruled out the possibility of returning to the competition some day. We just hope that if/when she does, it's with something that'll have us up and moving. The greatest mishap of Melodifestivalen 2015's Andra Chansen was the bypassing of Andreas Weise's red hot charisma during the duels. Disappointment was entirely evident in his reaction and that determination to compete and succeed in Melodifestivalen is one that could serve him well should he return to the contest. Andreas has a sultry vocal tone and the ability to work a song and number like few others in the Swed-pop scene. His follow-up single, "More," was very much in line with the evolved artistry he presented with "Bring Out The Fire," but with even more groove and danceability. At the mere age of 15, Awa Santesson-Sey won the first and only season of Sweden's X-Factor back in 2012. Now that Awa has had a few years to mature and develop her artistry a bit more, Melodifestivalen is a perfect place to further grow her following and make a more powerful impression. She recently made her rounds on the Swedish tour circuit with her single, "Obvious," a song which displays an impressive depth and maturity. She's modern, vocally on point, and the breath of fresh air we've been waiting for in an industry that would greatly benefit from diversification. Remember Elize Ryd? She dueted with tenor opera singer Rickard Söderberg in Melodifestivalen 2015 with the delightfully melodramatic "One By One"? Well Amaranthe is the Scandinavian metal band that Elize sings for. Upon further research, we found that the band is fronted by three vocalists in total: Elize on pop vocals, Jake E on rock vocals, and Henrik Englund on unclean vocals. While we're often the first to raise objections when rock songs participate in Melodifestivalen, this is due in large part to the fact that they're often terrible. But Amaranthe's style of metal is glossier and more produced, thus allowing for a cross-genre appeal to those who don't typically partake in the metal genre. We're also not inclined to like unclean vocals, but in smaller doses (i.e. a 1:3 ratio of unclean: clean), and when part of an otherwise strong track, we'll make an exception. Amaranthe are already a successful band, having toured extensively throughout Europe and North America. Sweden may be a pop-powerhouse, but Scandinavia also has a long-standing reputation for putting out quality metal (amongst those who listen to the genre). 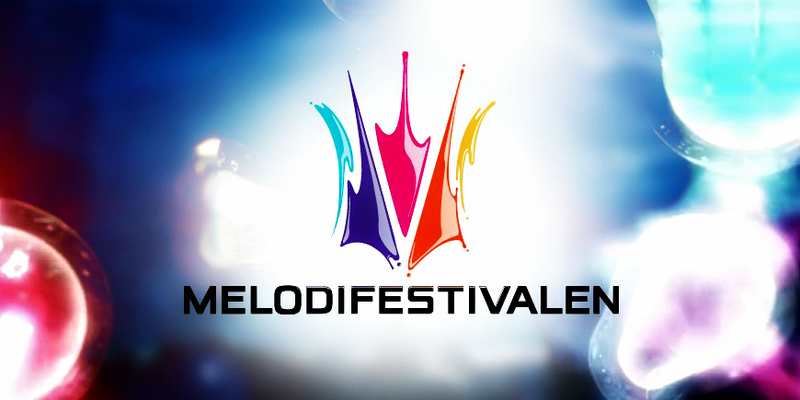 Amaranthe's participation in Melodifestivalen would not only expand the show's viewership, but demonstrate that the show is capable of representing more than one style of music well. We've embedded Amaranthe's arguably strongest single, "The Nexus," for your viewing pleasure but we'll also link their singles, "Drop Dead Cynical" and "Digital World," which are also worth a listen. It wouldn't be Melodifestivalen without a bit of scandal, controversy, and so on. 2015's scandal was Molly Pettersson Hammar's crashing out of the semis due to a technical malfunction in the show's new voting app. Sure, her live vocals were less than perfect, but few were not still shaken up by the shocking results. Even more of a shame than the unjust results is the fact that for the time being, Molly's name is largely associate with just that: a voting scandal. But what she should be hereby known for is making soulful pop singles that are bursting with exuberant energy and personality. The stage is set for Molly to come back and show everyone what she's made of. "Something Right" was Molly's follow-up single, and an excellent one at that, leaving no doubt that Molly knows just what her artistic niche is. The actual winner of Melodifestivalen 2014 Ace Wilder is a consistent source of rebellious and fun pop music. (Friendly reminder that "Busy Doin' Nothing" went triple-platinum and hit number 1 in Sweden while "Undo" went Gold and peaked at number 2). While some feel that Ace will not be able to outdo the impact she made in Melodifestivalen with BDN, we can't help but note that those naysayers fail to note that Ace is one of the few artists in the Swed-pop scene that has an entirely unique and fully developed artistry. She has also been nothing but consistent in the quality of the songs she has put out since then, as evidenced by all the tracks on her EP, "The Wild Card." Instead of going for the obvious choice to drop one of her singles below, we've chosen "Throne," as it's the song that packs the biggest punch of the six-song track list. We struggle to think of any other Swed-pop artist that has matched the level of Darin Zanyar. From the moment he finished as runner-up on the first season of Swedish Idol, he has consistently put out successful and quality pop singles/albums. This is a man who has never had an artistic identity crisis get him off his path of success. Even now, after a decade in the industry, Darin remains bolder than ever, daring to put out a full album in Swedish and with a drastic shift in style from his glossier pop to that of a more folk-influenced sound. His first single of this new era, "Ta Mig Tillbaka," had elements of Simon & Garfunkel but fully adapted for the 21st century, and blended intricate melodies and harmonies that beautifully enhanced the intimacy of the song's personal narrative. Melodifestivalen producer Christer Björkman has made it very clear that he is gunning for Sweden's seventh Eurovision win. Darin's latest studio album, "Fjärilar i magen," was his sixth number one album. He's even been promoting himself in Asia as of late, and Eurovision 2015 was the first year the contest was broadcast in China. If you're looking for someone experienced, consistently quality, and with the ability to appeal to a wide demographic, Darin Zanyar is a strong candidate. Whether he goes with a folksier song fitting in his newer artistic style or a killer pop banger, Darin can pull it off. The "how on earth are they so young?" sentiment gets thrown around quite a bit, particularly amongst the Eurovision scene as the average age of competing acts seems to get younger and younger. But really, how on earth is Zara Larsson only 17? With a prolific amount of success as a pop artist, with singles including 7x-platinum "Uncover," 4x-platinum "Lush Life," 2x-platinum "Carry You Home," and platinum "Rooftop" and "Never Forget You," it's borderline inconceivable that Zara has yet to be groomed as the next Swedish Eurovision victor. The girl can sing, handle a bit of choreography, and she's also a strong voice for intersectional feminism/human rights, making her an ideal candidate to follow in the footsteps of Loreen and Måns, both of whom are known for their humanitarian efforts in addition to their musical talents. If you were to ask for one musical act to sum up the spirit of Melodifestivalen, it would have to be Alcazar. Though they've never won the contest, their passion for Melodifestivalen, Swedish pop, and their spectacularly bedazzled brand of disco-pop never cease to impress. They have moved their successful "Disco Defenders" show to have a run in Stockholm and to help promote it, they made an appearance this summer on "Allsång på Skansen" during which they performed for the entire hour. Singing both their own greatest hits as well as some covers of other pop songs, they worked the crowd like nobody's business and honestly, if Sweden hasn't been wise enough to send this group to Eurovision yet, we can't help but implore SVT to let them host Melodifestivalen. Despite how much we'd love to see them back competing again, there are numerous upsides to having them host the contest. For one, they're enormously charming, charismatic, and have terrific chemistry with one another already so there wouldn't be any bizarre clashing of styles often seen in bringing miscellaneous talent together. Another upside is that viewers would get to see them strut their stuff not one/two weeks, but all six of the contest. Just think of the musical numbers and dare we say it... actually funny comedic bits? Our bodies are ready so make it happen, SVT! Who are your picks for Melodifestivalen 2016? Sound off in the comments section below and tell us who you want to see compete (or host)!